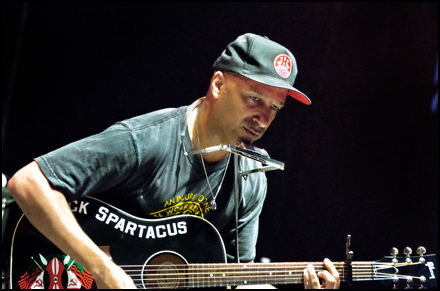 Tom Morello and his Black Spartacus acoustic guitar put on a show at the Ottawa Folk Fest. OTTAWA — Tom Morello’s presence at the Ottawa Folk Festival was such a curiosity even he seemed to think he had to explain it. Morello preceded his set on Saturday night beneath the stars at Hog’s Back Park with a few words about how folk music takes many forms including — he wanted us to believe — hard-driving, guitar-bleating rock. He then sent out to prove his point. Playing under the name The Nightwatchman, the founding member of Rage Against the Machine and Audioslave blistered through his first two songs before settling into a few tunes that were actually folksy. His hit “One Man Revolution” was strikingly appropriate for an event that heralds the activist singers known for their political messages. As always, though, the highlight of Morello’s show was his version of “The Ghost of Tom Joad,” a searing tour de force from one of the world’s most talented guitarists. Morello, who has been playing the Springsteen song since his days with Rage, absolutely assaults his electric six string during the solo. He manhandles the guitar with his teeth, his palms and those gifted fingers of his that make you wonder if the instrument wasn’t created for him to play that song. Dallas Green's City and Colour drew a big crowd at the Ottawa Folk Festival. The downer was the lack of more guitar solos, which is why people come to see Morello; it’s not for his own songs. His lyrics are riddled with clichés (“Hit em where it hurts/And bite the hand that feeds”) and lack the polish and poetry of a Springsteen or a Dylan or a Steve Earle. Still, you can’t ever pass up seeing him play. His version of “Tom Joad” is worth the ticket price alone. While Morello’s inclusion in the folk festival lineup may have been the act on the bill that caused the most doubletakes, it wasn’t the only big name. 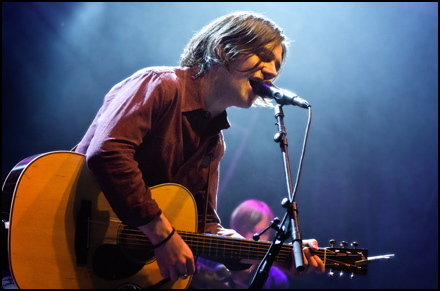 His performance on Saturday was followed by headliners Bright Eyes, the Nebraska indie rock band that Conor Oberst fronts. The best night of the weekend was easily on Friday, when City and Colour opened up the main stage’s evening performance for Steve Earle. 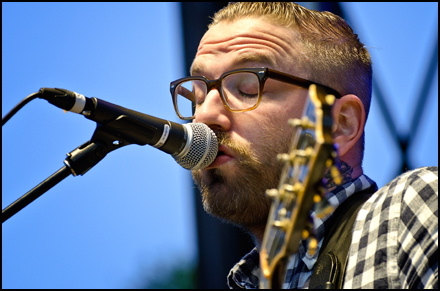 Dallas Green continued his ascent as a major Canadian draw as he helped to attract 7,500 people— about half of whom departed after City and Colour’s set. 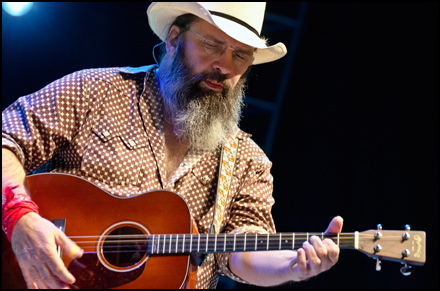 Steve Earle, who lives in NYC, isn't as country as he looks. Although his band wasn’t the headliner, Green was clearly the most popular performer of the weekend. With “Fragile Bird” being a recent No. 1 hit, the audience was won over even before the and hit the stage. Unlike Morello, though, Green and his bandmates from St. Catharines didn’t rock out, choosing to play a rootsy set that showcased his trumpet of a voice, which sounds bell-clear, like a Louis Armstrong note. It’s too bad more of Green’s young fans didn’t stick around for Earle, whose bluesy country-rock is not only appropriate for a folk festival but for any venue that demands great music. Those who saw him open up for Blue Rodeo at the Molson Amphitheatre last week got a shortened version of his full set, which included some extended jams as well as sage wisdom from the 56-year-old. “I Ain’t Ever Satisfied,” “The Revolution Starts Now” and “Copperhead Road” were Friday night’s gems. More than 20,000 people attended the four-day event, which was run for the first time from the same organizers who oversee the hugely popular Ottawa Bluesfest and was held at Hog’s Back Park, a sprawling green space near Carleton University and close to the Rideau Canal. On a hot summer weekend, it proved to be an enchanting setting. Conor Oberst and Bright Eyes headline on Saturday night at the 2011 Ottawa Folk Fest.